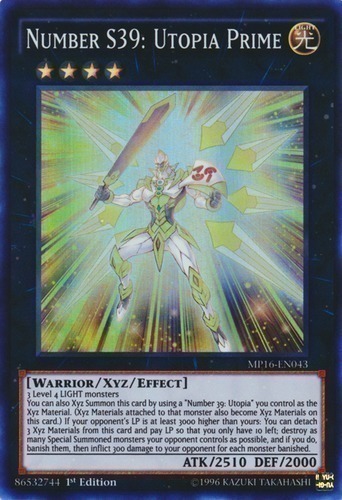 You can also Xyz Summon this card by using a "Number 39: Utopia" you control as the Xyz Material. (Xyz Materials attached to that monster also become Xyz Materials on this card.) If your opponent's LP is at least 3000 higher than yours: You can detach 3 Xyz Materials from this card and pay LP so that you only have 10 left; destroy as many Special Summoned monsters your opponent controls as possible, and if you do, banish them, then inflict 300 damage to your opponent for each monster banished.